This designer wool coat has a pure black fur collar and pleated outer skirting. 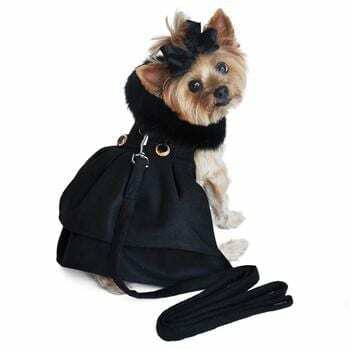 This super high quality coat is a harness style with a touch fastener neck and chest closures. 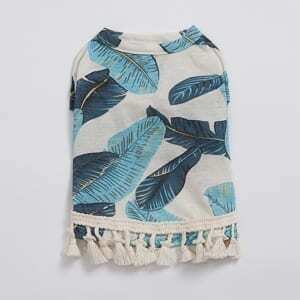 It comes with a matching leash and the d-ring provides an easy leash attachment. Made with super high quality wool blend for extra warmth and lined with “ultra rich” satin. Adorned with designer brass buttons.